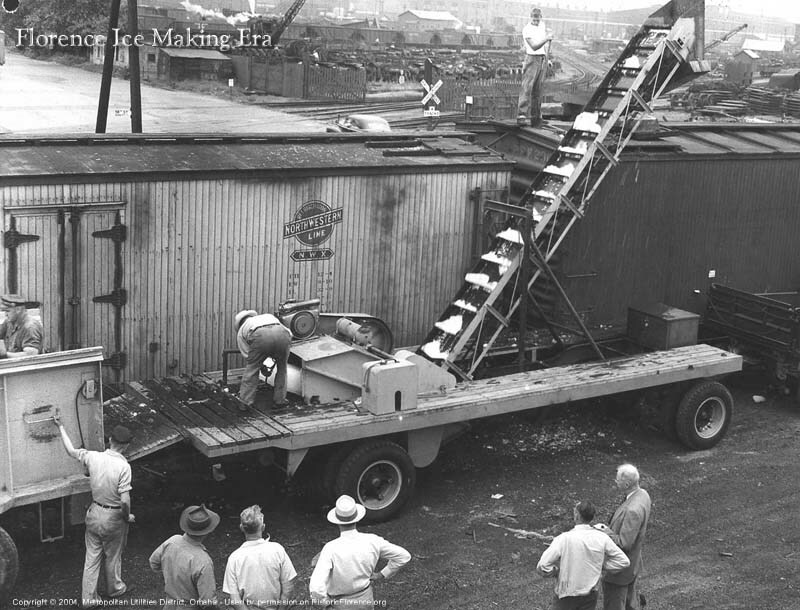 Icing refrigerator rail cars was a major source of income for the M.U.D. Ice Department. In the 1930s, District employees made this machine, which crushed 300-pound cakes of ice, to facilitate car-loading. How many people do you see? Can you find all nine people in this photo? Is that a 10th person in the car?